4/4/2019 Jasper Hill -- Acoustic Hoedown, 270 Exchange Street (Route 115), Millis, MA. Derm was happy to join Steve Dineen at the Hoedown in Millis, filling in for Chris Fitz. Denise and crew looked after us along with loads of patrons. Thanks to Lori for a great set of tunes and the harmiony vocals, and to Harold for harmonica on Buffalo Springfield and Neil Young. 2/2/2019 The Emerald Rose, 785 Boston Rd. (Rt. 3A), Billerica, MA Back to the Rose, Pre-Super Bowl LIII. We added another song to the George Harrison set and a couple of new Who songs. Many thanks to our Yes fan in the audience, Mr. Dineen, Bruce P., and our friend from Jasper Hill! As usual the crew at the Rose made our night -- thanks! 1/10/2019 Jasper Hill -- Acoustic Hoedown, 270 Exchange Street (Route 115), Millis, MA. This was Derm's first visit to the great new location of Jasper Hill and the Hoedown in Millis. A really beautiful spot, warm and comfortable on a winter night. We tried a lot of new stuff tonite, including a Who tune, a "Farther Along" (a Ralph Stanley favorite) with Ian, and a set with Rob and Mark on guitar and harp. Denise behind the bar made the Hoedown feel like old times in its new home. 12/1/2018 The Emerald Rose, 785 Boston Rd. (Rt. 3A), Billerica, MA A great early December night at the Rose. Thanks to all who showed tonight and cheered us on. 9/22/2018 The Emerald Rose, 785 Boston Rd. (Rt. 3A), Billerica, MA Derm's third gig of the day and Steve's second! We had a fun evening playing for the regulars, Mr. D, and the best bar crew in metrowest! See folks after the snow falls! 7/20/2018 The Emerald Rose, 785 Boston Rd. (Rt. 3A), Billerica, MA In summer, Fridays are music niights at the Rose. We had some fun sets with new tunes and old. Thanks to Rosemary, Greg, Richard, Mr. Dineen and all the crew at the Rose for making this a great evening. 5/17/2018 Jasper Hill Cafe -- Acoustic Hoedown, 770 Washington St., Holliston, MA. Derm filled in for Chris Fitz at the Hoedown tonite. Happy birthday, Ira -- and thanks for bringing the harps along! Rob brought his mando and led us in some old time music and folk -- including Townes Van Zandt's "No Deal," a fav. 5/12/2018 The Emerald Rose, 785 Boston Rd. (Rt. 3A), Billerica, MA Mr. Dineen made the scene tonight, along with Ed and Larry. Great to see Steve Mal relaxed, in listening mode. Things went late at the Rose this evening, with a lively young crowd. Thanks to all for the requests and applause. 2/24/2018 The Emerald Rose, 785 Boston Rd. (Rt. 3A), Billerica, MA Fun night with lots of friends in the audience, including Reed, Martha and Abe, plus Steve's "friends at the back." Nice to meet heavy metal vet Gary. Unintended shout-out to Melissa -- and happy birthday to our friends requesting "Sunny Afternoon." 2/22/2018 Jasper Hill Cafe -- Acoustic Hoedown, 770 Washington St., Holliston, MA. Unusual night at the Hoedown -- Chris on vacation this week. With the PA out, Steve and Derm played acoustically, with Rob on dobro. Ian sang with us second set. Thanks to Judy, Pat, Sean, our new friends from Chicago, and all the regulars for the kind words and applause! 12/7/2017 The Emerald Rose, 785 Boston Rd. (Rt. 3A), Billerica, MA Customer Appreciation Night and no fewer than FIVE lotteries for Steve and Derm to announce! This was our first time playing this event and we had a great evening. Thanks to Mr. Dineen for coming out to hear us, or for the steak tips, one. Gary and the staff made us feel right at home -- look forward to returning in February! 10/14/2017 The Emerald Rose, 785 Boston Rd. (Rt. 3A), Billerica, MA Fun night at the Rose, with Lori Watkins and Mr. Dineen in attendance. Debuted a few new tunes, includingEric Clapton's "Promioses," Vance Joy's "Riptide" and Harry Nilsson's "One Is The Lonliest Number." Gary, Hayley, and all the staff made us right at home, as always. See folks again on Thursday, December 7, for Customer Appreciation Night. 6/29/2017 Jasper Hill Cafe -- Acoustic Hoedown, 770 Washington St., Holliston, MA. Derm come down to the Hoedown in Holliston and joined Steve Dineen for a few numbers in the second half. Great hearing some of the other guest performers including guests Lori Watkins, Rob on guitar and Mark from the Walkin' Blues Band on harmonica. Ian sang a Tom Petty tribute, "Last Dance with Mary Jane." 6/29/2017 Jasper Hill Cafe -- Acoustic Hoedown, 770 Washington St., Holliston, MA. Derm filled in for regular co-host Chris Fitz at the Hoedown in Holliston, joining Steve Dineen. A great night with guests Lori and John Watkins, Britt Hill, and the fantastic Jasper Hill regulars including Rob on guitar and Mark from the Walkin' Blues Band on harmonica. Ian sang a few tunes, including "Silver-Haired Daddy" with Derm and Steve. Special thank you to Kenny Selcer for playing some songs and having Derm sit in on his original tune "Say You Will." Steve and Derm debuted the Beatles' "We Can Work It Out" and also performed Steve's latest original, "The Last To Know." 6/1/2017 Jasper Hill Cafe -- Acoustic Hoedown, 770 Washington St., Holliston, MA. Derm and Steve performed a Sgt. Pepper mini-set during Chris Fitz's Acoustic Hoedown tonight, in honor of that album's 50th anniversary release date of June 1, 1967. Tunes included the title song, "Getting Better," "Fixing a Hole," and "A Day In The Life." Lori Watkins helped us out on vocals -- much appreciated. 4/1/2017 The Emerald Rose, 785 Boston Rd. (Rt. 3A), Billerica, MA Glad to see Mr. Dineen and glad to see those steak tips as well. Some new tunes tonight, including "Riptide" and "School Days" in memory of Chuck Berry. 12/29/2016 Jasper Hill Cafe -- Acoustic Hoedown, 770 Washington St., Holliston, MA Derm filled in for Chris Fitz and the duo was joined by piano stylist Ben Knight on this slushy night in late December. The loyal players showed up for the Hoedown, however. Ian was back on the job as well, singing on "Silver-Haired Daddy," "Mojo Workin'," and "Feelin' All Right." Be sure to catch Christ Fitz and Steve at Jasper Hill on New Year's Eve for the Electric Hoedown! 12/10/2016 The Brickyard, 371 Main St., Woburn, MA. A fun evening with plenty of new faces in the downstairs lounge. Glad to meet some visitors from Tennssee and New York. Steve D pulled out two reset guitars and lots of new numbers including "Please Come Home for Christmas" and "Oh Well." Steve Mal from Aunt Mimi played and sang a few numbers with Derm as well. Thanks to everyone whop stopped in tonight including Mr. and Mrs, Scott,. Steve and Elizabeth. 11/26/2016 The Emerald Rose, 785 Boston Rd. (Rt. 3A), Billerica, MA Derm and Steve's first show post mallet finger fracture (Derm's). We had a great time playing for fans and for Gary, Danielle, and the terrific Emerald Rose staff. Many thanks for coming to Susanna, Rick, Ed, Larry and Mr. Dineen. A few new tunes tonight, including "Space Cowboy" and a Dineen original ragtime guitar composition. 9/3/2016 The Brickyard, 371 Main St., Woburn, MA. Derm's finger was still splinted for this date but Steve Dineen carried on with the help of Larry Powers from Bucket of Blues band. Larry added slide to tunes by the Allman Brothers and more. Jack Reardon sat in on harmonica. 7/30/2016 Tavern on the River, 478 Lowell St., Methuen, MA.Thanks Ed, Rick, Lenore, Deborah and all the fans of seventies music that sang along this evening. We'll give some thought to the Loggins & Messina and Beach Boy requests for future. Glad that "A Day in the Life" and "Hey Jude" went over so well. Steve brought along his Martin tonight for some new Rory Gallagher and, of course, the CSN. 7/21/2016 Jasper Hill Cafe -- Acoustic Hoedown, 770 Washington St., Holliston, MA With Chris Fitz on a well earned break, Steve Dineen and Derm hosted the weekly Hoedown in Holliston. Thanks to Rob for bringing the portable steel guitar and joining in on the Hank Williams tunes. Ian provided great harmony vocals on "Silver-Haired Daddy" and "Sure Got Cold After The Rain Fell." Great to see Rachel and the other Jasper Hill locals! 7/2/2016 The Brickyard, 371 Main St., Woburn, MA. Celebrating out nation's birthday with the in-crowd at Woburn's pizza and burger HQ. Light but loyal crowd this evening, including Rachel from the Chris Fitz Acoustic Hoe-down and Dan Margarita. Thanks to friends and Brickyard regulars Grand Theft Audio for stopping in. 6/11/2016 The Brickyard, 371 Main St., Woburn, MA. We had a great time playing for Lisa's 40th, and for all her friends, till midnight. Glad to hear the Pink Floyd, ELP, and Santana went over so well. We winged some numbers as well, including "Take It Easy" and "Nature's Way." Hope to see folks again in July. 5/28/2016 Tavern on the River, 478 Lowell St., Methuen, MA.First real evening of summer, bright and hot along the Merrimac. Thanks to Steve and Ed for the support. Glad to turn out some Trisha Yearwood for our country fans! Debuted "Itchychoo Park" with flanger. Steve Mal from Aunt Mimi joined Derm for a couple of numbers tonight. 4/29/2016 Tavern on the River, 478 Lowell St., Methuen, MA.A fun night with requests for Petty, Prince and Nilsson. Thanks to Jay and Chris for the encouragement and requests! 4/23/2016 The Brickyard, 371 Main St., Woburn, MA. Good times and celebrations all night long tonight, with birthdays for Jason and Mike, anniversaries, and more. Thanks to Carol and Kris for the kind words and the beers, Ed, Raj, Mary's mom, and our new fans from West Medford! Winged a Dr. Hook tune for some front row center fans as well. 4/16/2016 The Emerald Rose, 785 Boston Rd. (Rt. 3A), Billerica, MA A great long night with lots of new friends, plus reliable fans, Ed, Reed, Martha, Abe, Mr. and Mrs. Winged some Jayhawks, Merle Haggard, and Beatles tonight. David -- nice meeting you and glad we identified the one song you couldn't quite place! Thanks to the great staff at the Rose, Clarissa, Jesse, Gary and all -- we look forward to returning soon. 3/25/2016 Tavern on the River, 478 Lowell St., Methuen, MA.A terrific night with a great crowd that included Heather, Mr. and Mrs., Daniel and Sharon. Daniel Howard shared his great finger-style, blues influenced playing twice -- to the appreciation of the Skyport regulars. "Fulsome Prison Blues" appeared in two forms! Happy birthday, Arthur! 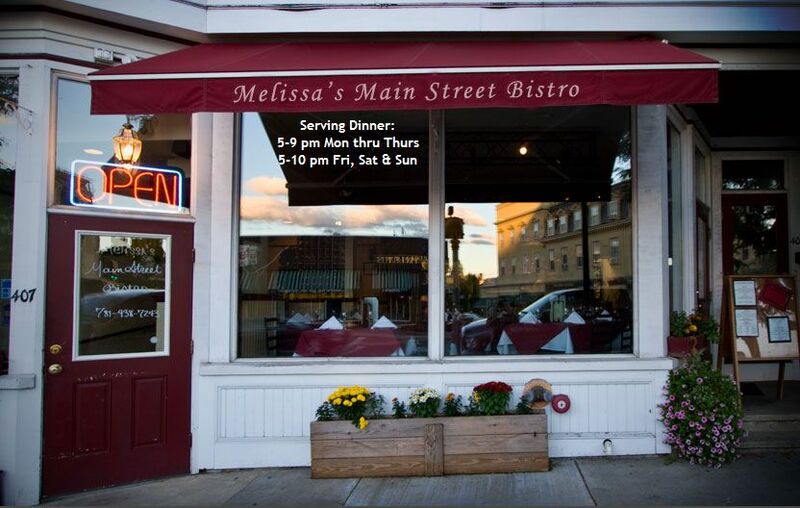 3/11/2016 Melissa's Main Street Bistro, 407 Main St., Stoneham, MA.Derm joined Steve for a gig at this comfy bara and restaurant. Ed provided support while the duo field requests from dancers and others. 3/5/2016 The Brickyard, 371 Main St., Woburn, MA. Thanks to Mr. and Mrs., Ed, Bruce and Regina and the other willing participants. 2/26/2016 The Emerald Rose, 785 Boston Rd. (Rt. 3A), Billerica, MA Friday's were new to us at the Rose, but Steve broiught along a gang of friends and family to keep us company. Glad to find a collection of younguns who are fans of the Soggy Bottom Boys -- we'll get "In the Jailhouse Now" learned for next time. 2/11/2016 Jasper Hill Cafe -- Acoustic Hoedown, 770 Washington St., Holliston, MA Steve Dineen and Chris Fitz are the usual hosts of the weekly Hoedown in Holliston, but Derm filled in for Chris this week and shared the stage with many regular guests. Special thanks to Lori for the Rascals tune. 1/30/2015 The Brickyard, 371 Main St., Woburn, MA. An amazing night downstairs with a crowd of young fans looking for Allmans, Clapton, Tull, and more. 1/2/2016 The Emerald Rose, 785 Boston Rd. (Rt. 3A), Billerica, MA First show of the new year and a full house bar-side at the Rose. Glad to see Ed, Michael, and our new friend visiting from His Lordship's place. Some Tull, Allmans, Stones, and Elvis by request. Thanks to all -- we'll be back in February. 12/26/2015 The Brickyard, 371 Main St., Woburn, MA. Steve Dineen was joined by special guest Chris Fitz, his accomplice in the weekly Acoustic Hoedown at Jasper Hill Cafe in Holliston. A rocking night with the young folks catching up on the day after Christmas. Thanks to Ed, Stacey, and Amy for the support. 11/27/2015 Jules By The Water, 478 Lowell St, Methuen, MA. Easy find, roomy and a great lounge -- Jules was a fun night. Our thanks to Mr. and Mrs., Ed, John, Mary and our new fans at the bar. We look forward to returning soon. 10/25/2015 The Brickyard, 371 Main St., Woburn, MA. A great pre-Hallowe'en night with lots of new faces. Special guest Angus Young joined us on stage for "You Shook Me All Night Long" performing his signature duck walk and getting incredible sounds from a child's toy guitar. Nice meeting Ryan and Michelle as well as D. -- hope to see you next time. As always, thanks to Mr. and Mrs. as well as Heather for the support. 10/3/2015 The Emerald Rose, 785 Boston Rd. (Rt. 3A), Billerica, MA Full house at the Rose tonight. Thanks to Wilmington friends and to Mr. and Mrs. for stopping in. Ed -- always glad for the support and attention to our sound. 9/19/2015 The Brickyard, 371 Main St., Woburn, MA. A full house of music fans tonight, in a partying mood. An unrehearsed opening set created some great energy. Many thanks to our friends who came out to see us, including Grace and Peggy, Reed and Martha, Ed, Abe, and Steve. Derm owes a Texan a tequila, and Steve and Derm appreciate the complements and song suggestions from the crowd. Thanks Ryan and Joe for a great night. 6/6/2015 The Brickyard, 371 Main St., Woburn, MA. A fun start to the summer season at the Brickyard thanks to Joe, Stacey, Jackson and the crew. Thanks Barb and Boot for coming to see us, and as always thanks to Mr. and Mrs. for your support. New fans - we'll work on the missing Rod Stewart, Billy Joel, and Bon Jovi tunes! 5/30/2015 The Emerald Rose, 785 Boston Rd. (Rt. 3A), Billerica, MA Truly a warm summer night at the Emerald Rose, with Mr. and Mrs., Peter, Therese, Ben, Robin and Robert in attendance. Staff terrific as usual, and a we were happy to do a few requests, including "Rocky Raccoon" for new friends. Looking forward to playing more music at this venue in the fall! 5/2/2015 The Brickyard, 371 Main St., Woburn, MA. Mr. and Mrs. were on hand, along with Dan, Sean, Elena and all the folks celebrating the 30th wedding anniversary at the Brickyard. 4/30/2015 Tremezzo Ristorante, 2 Lowell St., Wilmington, MA. Finding our groove at Tremezzo, thanks to the great staff and our fans and friends -- including Frank, Susanna, Mark, Paul, Jan and Steve. Chicago tunes made a return and we winged some requests (Beatles, Tom Petty, Ten Years After) for these dedicated listeners. 4/25/2015 The Emerald Rose, 785 Boston Rd. (Rt. 3A), Billerica, MA Glad to be back at the Rose in warmer weather. We were joined by Mr. and Mrs., plus Ashmont Station's own Ginny and Dean Johnson, along with Trevor, in town for NECMO in Lowell. Ginny joined us for "Peaceful Easy Feeling." Debuted two Chicago tunes. Glad to see friends old and new, including Peter, Therese, Mark and all of the supportive staff members at the Rose - Gary, Lori, Elizabeth, and the crew. 4/16/2015 Tremezzo Ristorante, 2 Lowell St., Wilmington, MA. Our first full night at Tremezzo and an appreciative crowd, including Mr. and Mrs. -- thanks. Debuted a Chicago tune. 3/17/2015 Tremezzo Ristorante, 2 Lowell St., Wilmington, MA. We open with an early set followed by the remarkable duo Yoke Shire playing Irish pub favorites. Steven Malatesta stopped in for our early number -- many thanks for the sound check and encouragement! Thanks also to Mary, James, Pete, Sara, Chris, Mr. and Mrs, and our other fans for supporting us at a new venue. Steve and Derm finished the evening with a Tremezzo pizza, bread, olive oil and Guinness and thoroughly enjoying the multi-talented Yoke Shire. 2/28/2015 The Brickyard, 371 Main St., Woburn, MA. A packed house, good and loud, and some new fans. For our friends from New Orleans and Indiana -- some Louis Armstrong and John Mellancamp. For Chris and Candice -- Stones and more Stones! (Thanks for the kind words and drinks, guys!) For the "younger set" thanks for the iPhone assist on the Tracy Chapman tune -- we'll know it for next time. As always thank you to Mr. and Mrs., Jackson, Joe, and the great Brickyard staff for a well run evening. We'll be back in May. 2/14/2015 The Emerald Rose, 785 Boston Rd. (Rt. 3A), Billerica, MA An official blizzard and our fourth snow storm in as many weeks did not dampen Valentine's Day spirits one bit. Derm got an early start for the dinner crowd, solo, followed by the main act till closing -- Steve Dineen and Derm. Always glad to see Mr.and Mrs. Dineen and our friends Deb, Steve and Leslie -- thanks for sharing the evening with us. Thanks to Gary, Danielle, Jessica, and all the great Emerald Rose staff for making this a fun night for everyone. 1/29/2015 The Back Page, 15 Kearney Square, Lowell, MA Paul at the bar welcomed Derm back, filling in for Chris Fitz, with Steve Dineen at the Acoustic Hoedown. Players! Susanna from Trusting Fate and Silverlock brought her ultra-light nano keyboard, plus her great voice, and led us through some R 'n' B. Local guitarist Brad took the lead in singing some Neil Young, The Band, and . John joined in on trumpet. New friends John, Ghazal -- thanks again your support and good humor. 1/17/2015 The Brickyard, 371 Main St., Woburn, MA. As always, a couple of birthdays and parties thrown at the Brickyard. Gabe. Lori, Mr. and Mrs. D, and the many friends of the birthday girls -- thank you to all who listened, danced and sang (Taylor Swift fans included!). Happy to pull out some Neil Young and T Rex on request. 1/8/2015 The Back Page, 15 Kearney Square, Lowell, MA Tonight Derm filled in for Chris Fitz at the Acoustic Hoedown. Derm and Steve had a great time playing for a varied crowd of well-wishers and talented players. Betsy and Donna -- thanks for staying the evening, dancing, and sharing your love of the music. Ghazal -- wonderful support for us all night. Mike -- we owe you for the new official slogan of the duo: "Get some high energy and get f@#*in' weird!" Connor -- perfect guest player, inspired soloing, good ears and nice choice of tunes. We hope to hear you out there: "Conquer or Die!" John -- trumpet is so welcome at these open mics, and especially with Stephen Stills and the Soggy Botton Boys. Paul -- thanks for everything; we'll see you next time. 12/27/2014 The Emerald Rose, 785 Boston Rd. (Rt. 3A), Billerica, MA Quite the post-Christmas crowd at the Rose this night, with Mr.and Mrs. D. right up front as usual. The folks from Guiness Blonde were offering samples. Glad to do some America, Grateful Dead, and Allman Brothers by request. Thanks to Gary and his staff, including Jessica -- thanks for keeping an eye on us all night. 11/13/2014 The Back Page, 15 Kearney Square, Lowell, MA This acoustic open mic is usually hosted by Steve Dineen and Chris Fitz; tonight Derm filled in for Chris. Derm and Steve played a mix of country, blues, and rock. Thanks to the dancers for "Locomotive Breath" and "Behind Blue Eyes" and to our friend Jeff for some great blues. 11/8/2014 The Emerald Rose, 785 Boston Rd. (Rt. 3A), Billerica, MA The Rose welcomed back Derm and Steve Dineen of Drivin' Blind who in turn were delighted to welcome friends Susanna, Tim Gartland, Lorraine and Larry, Peggy and Tom, and Mr.and Mrs. D. Thanks to Gary and his hardworking staff, including Nicole and Kendra. We got some kind words of appreciation for the CSN song. OK -- and next time, we'll have an Ellis Paul tune! 10/25/2014 The Brickyard, 371 Main St., Woburn, MA. Winged a few tunes tonight -- "Sunshine of Your Love" for Jack Bruce and "Behind Blue Eyes." Steve brought his own crew to the shark tank tonight. Thanks to Lori, John, Ricky, Bill, Cindy, Tina, John D., and Mr. and Mrs. Dineen (Happy Birthday). As always, great job Jackson, Kristen, and Joe. 8/23/2014 The Brickyard, 371 Main St., Woburn, MA. Thanks to all friends at the bar for sticking by us -- and to Mr. and Mrs. Dineen plus new friends Margaret and Lynne. Happy to wing a couple by request, including "Big Me" by Foo Fighters and "Country Roads" by John Denver. Looking forward to fall gigs soon. 7/26/2014 The Brickyard, 371 Main St., Woburn, MA. Mr. and Mrs. Dineen came twice in one week -- first to catch DB at the Brickayrd on Wednesday night, then to hear Derm and Steve on acoustic on Saturday. Summer crew on deck, and friends including Raj, Diane, Bill, Jeannette, Linda, Chris and Jack. Happy to do a few requests, including "Oh Darling" and "Pride and Joy" (SRV). 6/21/2014 The Brickyard, 371 Main St., Woburn, MA. Thanks to Lori, Bill, Jessica of the duo He Said She Said, and Mr and Mrs. Dineen. Quiet start but a rousing finish for our Johnny Cash fans at the bar. Back in July! 5/17/2014 The Brickyard, 371 Main St., Woburn, MA. "Year of the Cat" -- a hit! Derm and Steve Dineen greeted lots of friends tonight! Mr. and Mrs. Dineen (front and center), steadfast Raj, newcomers Eric, Evette and Sean, Lori and Lynette. Thanks to Tara and Lana, birthday boys Derek and Mike, Joe and the crew. Back in June -- see folks then! 4/19/2014 The Emerald Rose, 785 Boston Rd. (Rt. 3A), Billerica, MA Derm and Steve Dineen of Drivin' Blind performed for friends at the Rose, including Ed, Sarah and Pete, and Mr.and Mrs. D. Glad to have met some new friends too -- Paula, Fran, and Eddie -- and Ray, glad you liked what you heard tonight. We fielded some requests as well, including a John Denver and a Darius Rucker tune. We look forward to a return in the fall. 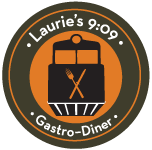 3/7/2014 Laurie's 9:09 Steakhouse and Raw Bar , 33 Tuttle St., Wakefield, MA. Thanks to Mike, Wayne, and the crew at Laurie's for a fun night. 3/1/2014 The Brickyard, 371 Main St., Woburn, MA. Thank you to fans who came out to the Brickyard on another cold Woburn night. This includes Mr. and Mrs. D, Stacey and all her friends, Susanna and Deb of Silverlock (thanks for the assist on the Cash and Hollies tunes, Susanna), Ryan and Joe and the whole Brickyared crew. Special thank you to Katie for sharing her talent with us on the Dylan tune -- we were glad the provide to opportunity We'll see everyone again in May! , 215 Derby St., Salem, MA A meeting of minds they said: Steve Dineen, Steve Peabody on slappy things, Eric Reardon (hot new guitar player), and Derm in back... A great day as always on Sunday Funday at Seaport. Special thanks to John Devine who joined us on harp. Thank you to all who came out including Ed, Laurie, Tom and JoJo (many thanks! ), Mr. and Mrs. D, Larry, Toby, and the always great Brodie's staff and crowd! 2/1/2014 The Brickyard, 371 Main St., Woburn, MA. A great crowd of friends tonight: Heather, Stacey, Bruce, Katy (thanks fo "Hit the Road Jack"), Abe, Reed, Martha, Steve, (thanks for making the trek down! ), Ben, and Mr. and Mrs. Debuted plenty of new tunes (plus some ELP and CSN by request) and had a very decent, rocking night. Thanks to Joe and all his welcoming staff. 1/31/2014 Laurie's 9:09 Steakhouse and Raw Bar , 33 Tuttle St., Wakefield, MA. Bob, Laurie and all the crew welcomed Derm and Steve Dineen for an acoustic night. DB fans Sarah, Terry, Rick and Peter were front-and-center, seeing through glass, cheering us on -- many thanks, guys. Special thanks to Jack Reardon for sitting in on harp. We debuted "Silver Haired Daddy" in tribute to Phil Everly. A fun night -- we look forward to seeing Jack, Janet, Terry, Julie, Kim and our friends at the bar next time. 1/11/2014 The Brickyard, 371 Main St., Woburn, MA. Pats dominated Indianapolis and the Brickyard's downstairs lounge was hopping. The positive vibe was increased by the Aaron, Darin, and all the coaches and members of CrossFit Lando in Woburn, a universally friendly crew -- glad our PA lent itself so well to the half-time awards ceremony. Thanks to Stacey and all her old co-workers for showing up as well -- happy to play an acoustic mini-set at their table upstairs. We'll be back on February 1 -- thanks, Joe! 12/7/2013 The Brickyard, 371 Main St., Woburn, MA. A Derm and Dineen gig at Woburn's Brickyard and a good loud time it was. Katy joined us on stage to sing "Hit the Road Jack." Thanks to all the 30-somethings who cheered us on at their birthday party. Special thanks to Bruce and Katy, and Mr. and Mrs. Dineen. See Joe and the gang in 2014! 11/16/2013 The Brickyard, 371 Main St., Woburn, MA. A Derm and Dineen gig in the Brickyard's downstairs lounge -- and another birthday party! Happy to play some old favorites, and take some requests ("Long Cool Woman," "Horse with No Name"). Great seeing Reed, Martha, Abe, Laurie, Mr. and Mrs. Dineen and the Brickyard regulars. We'll be back December 7! 10/19/2013 The Emerald Rose, 785 Boston Rd. (Rt. 3A), Billerica, MA Derm and Steve Dineen of blues band Drivin' Blind played as Durham & Dineen before the Sox-Tigers showdown. ELP, Buffalo Springfield, Gin Blossoms, and America all went over big. Many thanks to Mr. and Mrs., Tina, Jen, Pat, Elsa, Mike, Deb, Steve, Brian and Gary, and the great hopping wait staff at the Emerald Rose. 8/11/2012 The Bolton Fair, Lancaster, MA.Year six for Auntie at The Fairgrounds in Lancaster, Mass., this time with Steve Dineen on guitar and Steve Peabody on percussion. As always, glad to see friendly faces in the crowd including Heather, JG, Jennifer, Carolyn, Aileen, Jean-Baptiste, Dale, Janet, Roger, and Barbara. We also caught the singing guitar-and-mandolin duo The Sky Blue Boys. Thanks to Beth and Bolton for a great all around experience. 6/15/2013 The Brickyard, 371 Main St., Woburn, MA. Derm and Steve Dineen played for a fortieth birthday party and Game Two of the Stanley Cup Playoffs -- a Bruins win in overtime. Joe, Kevin, Megan and the rest of the great staff at the Brickyard made us feel at home. Great to see Mr. and Mrs. Debuted some unusual tunes, including the Stone's "Dandelion." 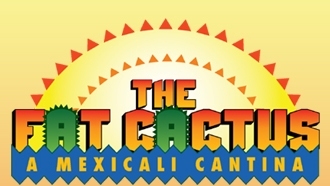 3/15/2013 The Fat Cactus, 215 Broadway, Lynnfield, MA. Derm joined Steve Dineen of Drivin' Blind for an acoustic gig at Lynnfield's own cantina. Debuted some numbers, including "Yakety Axe" and "I Dig A Pony." Glad to see Ross, Wendy, Ian, Sylvia and friends. 2/10/2013 Brodie's Seaport Cafe, 215 Derby St., Salem, MA. Derm joined Steve Dineen and Steve Peabody for Sunday Funday down by Pickering Wharf. The Seaport and this post-blizzard crowd could not have been more enthusiastic, dancing to anything and everything -- Jethro Tull, Richie Havens, CSN, Donovon, Stones ... This was the first formal gig for "Alt Mimi." Thanks the Heather, Stacey, Lee and Jen, and the Seaport regulars for a fun time.